CalConnect works year-round to meet its goals. It holds three conferences each year, consisting of general and technical sessions, working sessions and testing opportunities. 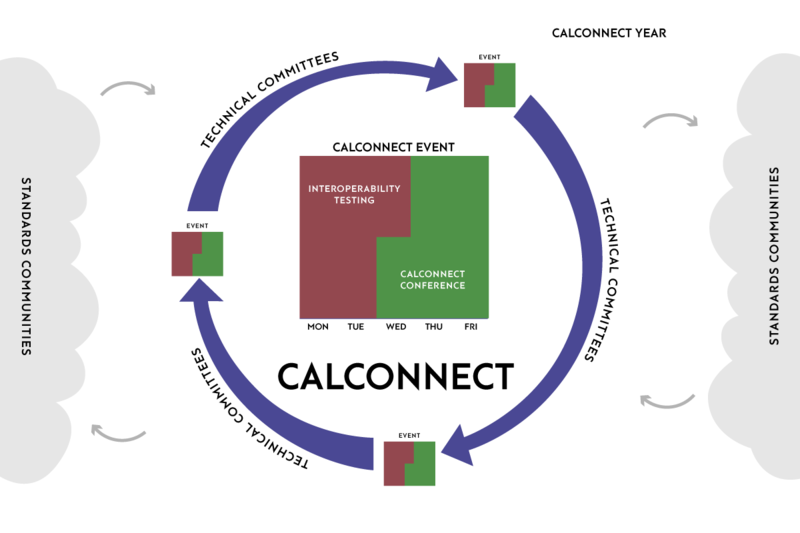 Between conference dates, members of the technical committees meet regularly via conference calls and collaboration tools to work on CalConnect's major projects. In addition to three regular events a year, from time to time we hold workshops to bring together the CalConnect membership and other leading experts to explore specific technical areas, such as vCard and time zones.